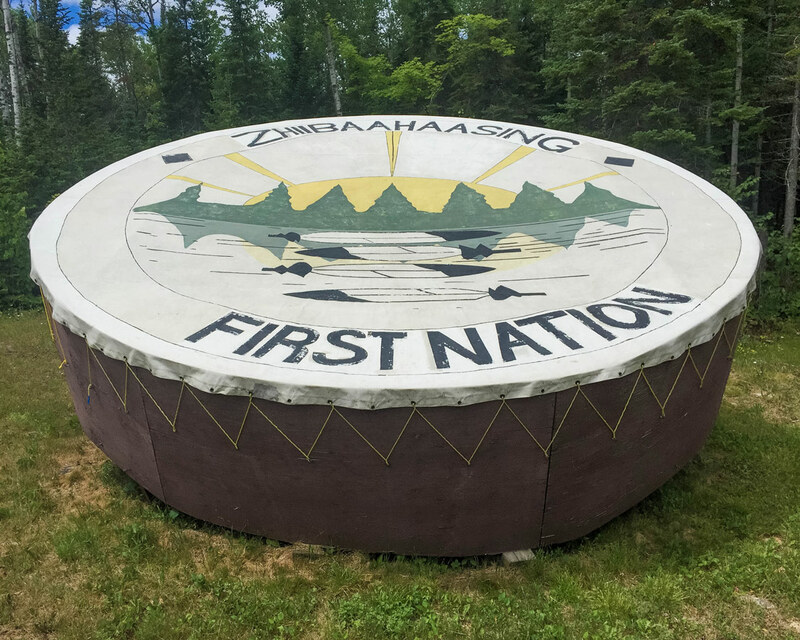 During our Great Spirit Circle Trail experience on Manitoulin Island, Ontario, we learned that we could experience a First Nations Pow Wow that would be taking place nearby. 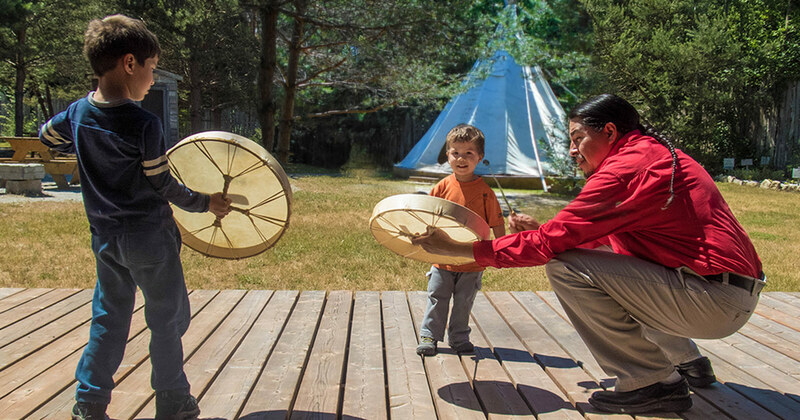 We were anxious to learn more about the First Nations culture in Canada, so were excited about an opportunity to experience one of these celebrations in person. When we learned that our guide for the weekend, Craig Fox of the Great Spirit Circle Trail, would be dancing at the event, our enthusiasm only grew! What is a First Nations Pow Wow? 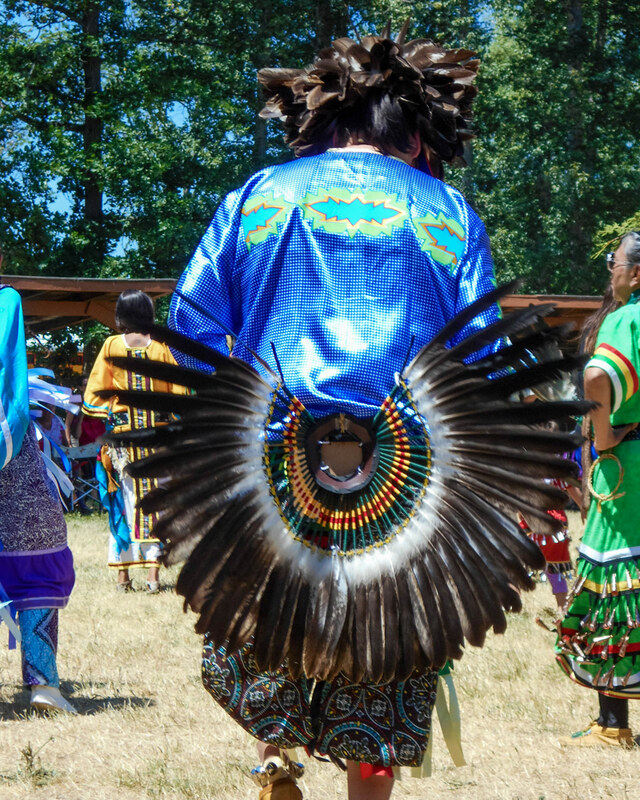 While the origin of the Native American Pow Wow is unclear, they have become a huge part of First Nations culture over the years. 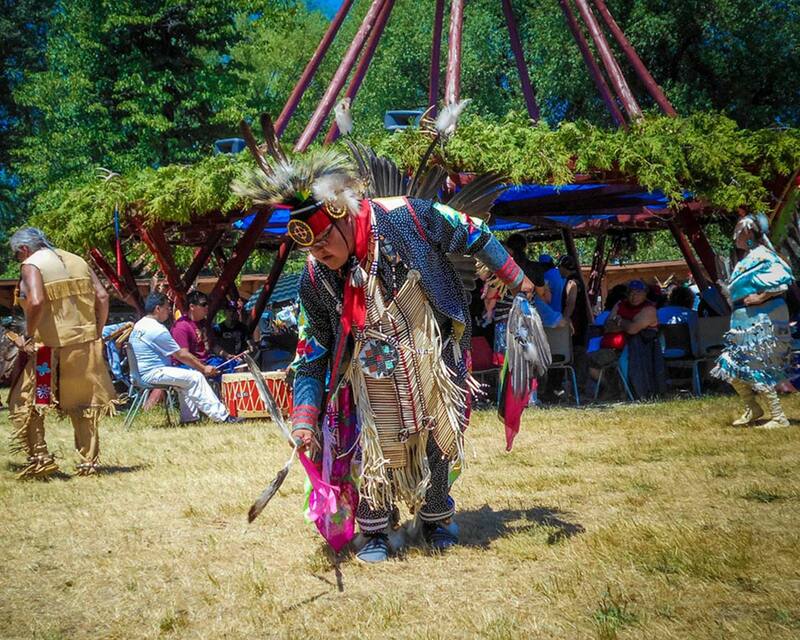 Pow Wows are events that are run by local native tribes. They often include dancers, drummers, and singers from many tribes from across the continent. 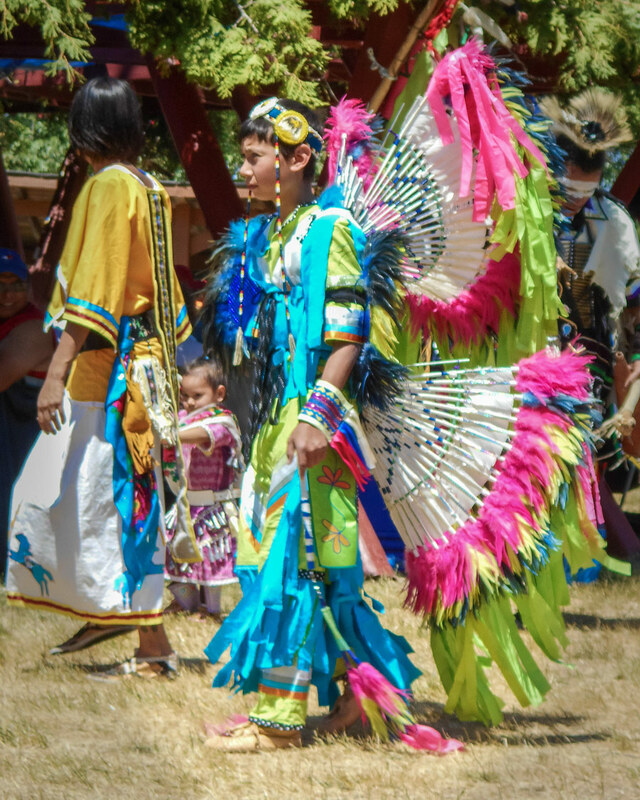 Dancers dress in brightly colored regalia representing different legends and lore. Drummers and singers play beautiful beats and haunting songs. 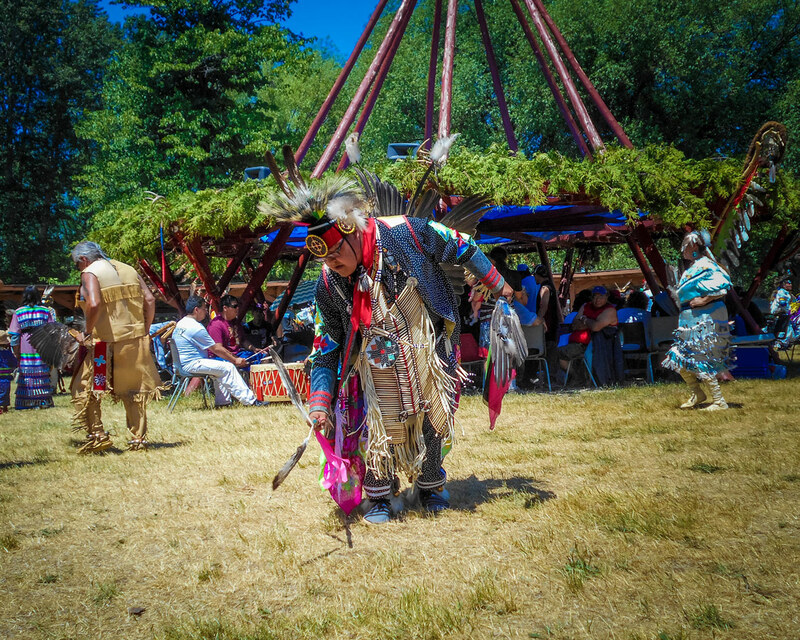 Pow Wows are celebrations full of song and dance. Also, they usually feature delicious native foods, beautiful paintings and craft work and amazing furs and instruments. Attending a Pow Wow offered a perfect opportunity to further introduce our children to the history and culture of our country, Canada. First Nations culture is so important to the fabric of our national identity, yet its importance is often washed over during national events and within our educational system. 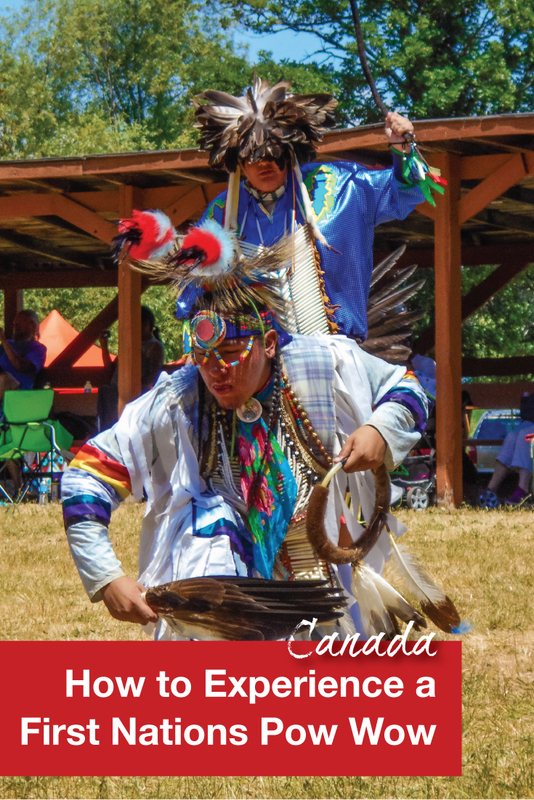 Pro-Tip: To see the schedule of Pow Wows in Ontario, check out the schedule here. The Pow Wow began with the Grand Entry. As visitors, we were called to stand as the registered celebrant’s parade into the Arena from the east. Flags, including Canadian, American, Tribal and POW flags, as well as the Eagle staffs of the represented First Nations were presented. The flags are usually carried by elders or veterans holding a place of honor within the Pow Wow. Following the Grand Entry, we were made a part of the smudging ritual. Smudging involves spreading the smoke from items such as cedar, tobacco, and sage over the bodies of the attendees as a way to purify the aura and cleanse the spirit. Pro-Tip: There is no photography allowed during the smudging ceremony. This is considered a sacred time. 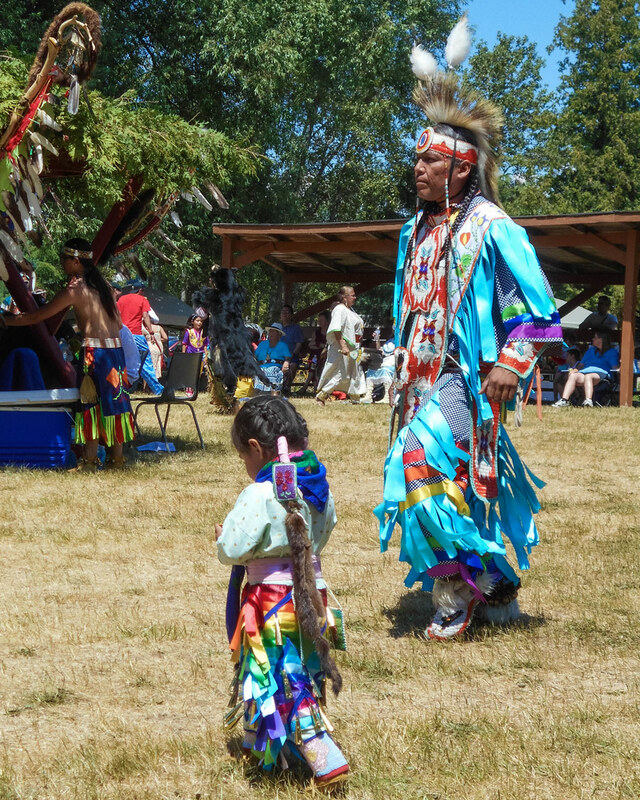 You can’t experience a First Nations Pow Wow without including the song and dance. After the smudging ceremony, the MC began calling the dancers involved in each section of the ceremony. Different types of dances were performed, and we even had the opportunity to take part in some ourselves. There are also dances for women, men, and children separately and together. The songs included original and classic songs, important to the tribes in attendance. The dances included styles such as Grass Fancy, Northern Traditional, Buckskin and Fancy Shawl. A festival wouldn’t be complete without taking in the crafts and delicious local fare. 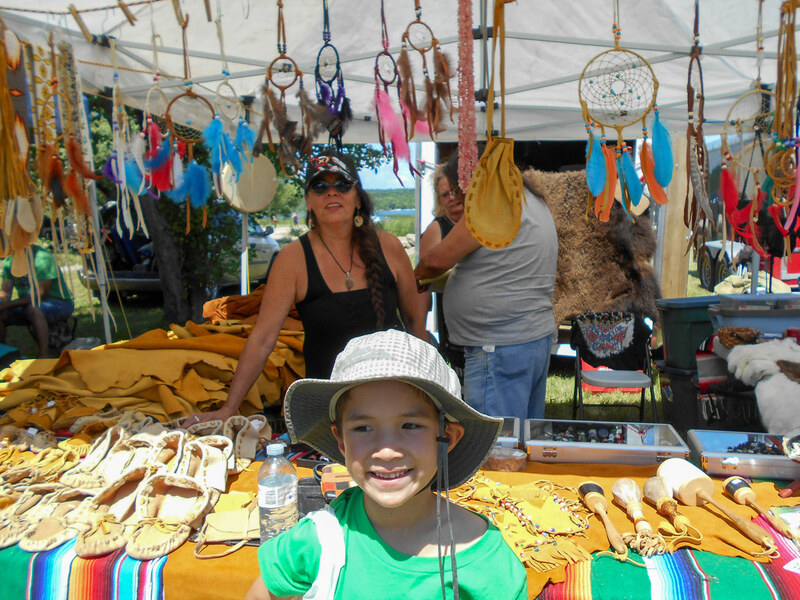 Stalls sell traditional delicacies like bannock and berries, rice and beans, fry bread, and more modern fare such as Indian tacos, strawberry juice and more. The sales shops sell everything from fur and traditional clothing, drums, painting, instruments, and more. C was on a mission during our visit to find the perfect drumstick to go with the drum that he created at the Great Spirit Circle trail. The dancers wear Regalia. Please do not call them costumes. I remember my first pow wow experiences as a kid. Such wonderful ceremonies full of culture and dance. I love the costumes seen here. Also great tips about how to be respectful of these sacred events. First nation Pow Wow! sounds so fascinating. Was not aware of this but what a great way to keep alive the old culture and traditions. Must have been quite an experience. 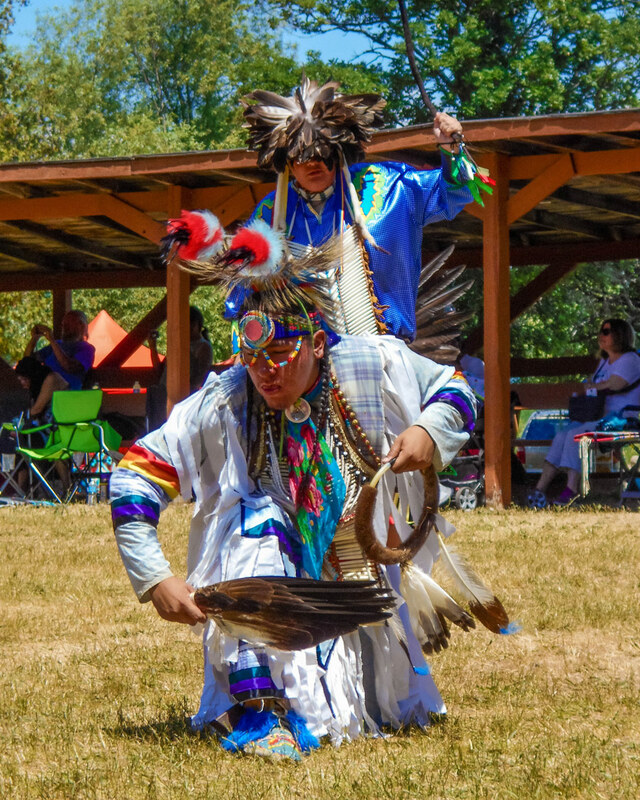 Attending a First Nations Pow Wow sounds like such an interesting experience! I love learning more about the culture of the places I travel to. I would consider myself lucky if I happen to attend an event like this. The photos are fantastic, thanks for sharing! How interesting! I would love to experience this someday. This is so cool Kevin. I am awed by the colors of their outfits. I also have a deeper respect for Native Americans after reading a way cool book/novel/epic creation on Tecumseh and his life, while living in a remote Costa Rican jungle. What a brilliantly enlightened people in so many ways. Way beyond what we modern day Americans are in terms of living in perfect harmony with nature. Very inspiring post, Kevin! I would love to experience this one day!